Smile lines, marionette lines, chin wrinkles and other age-related blemishes are extremely difficult to get rid of without professional help. Even if you do everything in your power to protect your skin over the years, these cosmetic issues are sure to crop up at some point. If you want to obliterate fine lines and wrinkles for two years or longer, then you might be a great candidate for Sculptra®. This popular injectable has given our team the ability to quickly and safely erase some of the most common signs of aging. Unlike many invasive procedures that will bring your life to a grinding halt while you recover, this amazing treatment comes with almost no recovery time. As the active ingredients strengthen and moisturize your skin, you will feel years younger. Here is a look at just a few of the benefits of Sculptra® and what you can expect during your treatment sessions. Every injection of Sculptra® contains a potent substance known as poly-L-lactic acid. This particular type of acid immediately adds volume to the face, but the full results gradually show themselves and improve over the course of the next few months. After being injected into the skin, poly-L-lactic acid stimulates the production of collagen. When we are younger, our skin produces quite a bit of collagen to maintain its elasticity. Eventually, however, the average adult loses around one percent of their body’s store of elastin every year. This will quickly result in cosmetic blemishes like wrinkles near the chin, mouth and nose. By stimulating the production of collagen, Sculptra® produces long-term results. One recent study has shown us that 80 percent of Sculptra® patients are still satisfied with the results of their injections after 25 months. Once the results begin to fade, you can simply schedule follow-up appointments. Many of our patients also combine their injections with other non-invasive treatments to get even better results. One of the reasons why many people are now seeking out injectable fillers is because the side effects are minimal and extremely rare. Following a facelift or other similar surgery, a patient might be bedridden for three weeks or longer. During that time, they will need friends and family members by their side to help them eat and move around. With Sculptra® treatments, there is absolutely no downtime. 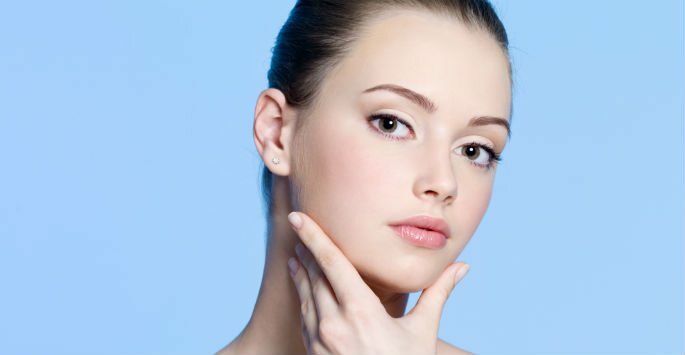 Is Sculptra® Right for Me? This injectable has been approved by the FDA to treat a variety of age-related skin issues near areas such as the chin, mouth, nose and forehead. If you are a relatively healthy adult who hasn’t had any procedures carried out on your face in the last few years, then you will most likely make an excellent candidate. During your first appointment with us at Shapiro Aesthetic Plastic Surgery and Skin Klinic, we will gladly provide you with more information on the benefits of Sculptra® injections. Contact our office in Scottsdale to schedule your consultation and find out if this popular treatment is right for you.